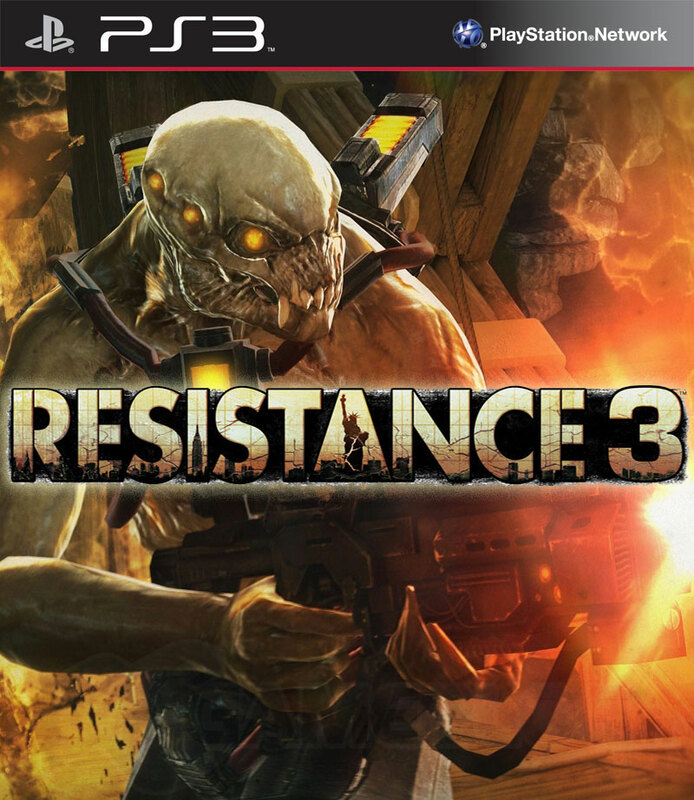 Resistance 3 has been developed by the famous developer of video game, Insomniac Games and the publication of the game is done by the Sony Computer Entertainment. This game has been made to be played on PS 3. The game is based on the science inventions and thus is associated with all the newly invented weapons and likely to be made in the future. The Resistance series has been made up to three of the episodes and the last chapter is the Resistance 3. The basic difference between the previous game series is that the game is now based on a post apocalyptic experiencefrom the old notion of the military facet. The story line of the game is very interesting and is like this: After the heroic termination of the resistance 2 series, America has been conquered by the race of Chimera. And the player has to play the role of the last surviving Sentinel Joseph Capelli has been discharged disreputably who has now the responsibility of stopping the nuisance of Chimera and for that he was initially hiding with some of the survivors and his son and wife. 3-D is being supported in the last version of Resistance 3 which is not available for the others two previous ones. 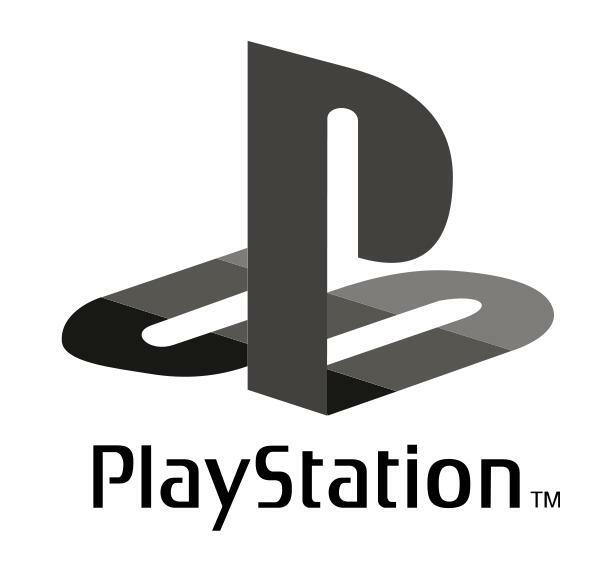 Play station Move has been newly introduced for the increasing the accessibility for the players. Program named as PSN-Pass has been newly introduced providing more of the features. Starting from the Single player battle, the player is given the chance of playing with other player and also the multi player assistance. 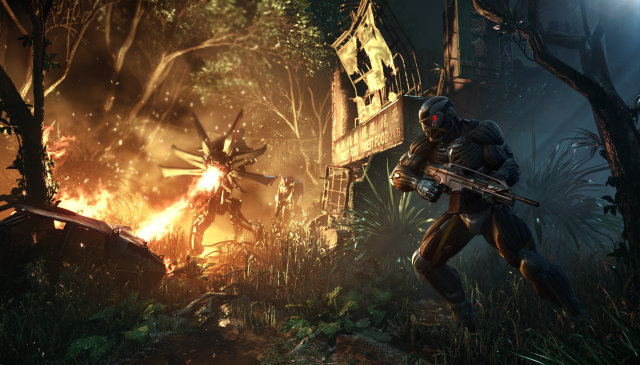 Crysis 3 is a open-world first-person shooter video game and sequel to the “Crysis 2” video game and the third title in the Crysis series, the game is being developed for Microsoft Windows, PlayStation 3, and Xbox 360 and currently under development by Crytek and is scheduled to be released in 2013 and will be published by Electronic Arts. The game will feature CryEngine 3, prime engine for open world and sandbox gameplay, the engine with limitless possibilities. 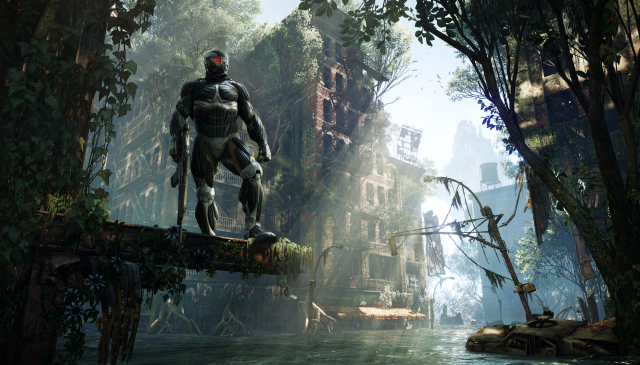 CryEngine 3 will be featuring unbelievably real environments and beautiful lighting to dynamic physics and razer-sharp AI and will be giving the “Crysis 3” marvelous graphics, immersive environment and lot more fascinating features yet to come forward and simply would be offering features beyond gamers expectations. The celestial threat still emerges hefty over New York city, player will take control of Prophet who gets hunted at the first site by the corrupt cell corporation and marks his return in New York in the year in 2047 on a revenge mission and to uncover the truth behind Cell Corporation’s motives for building the quarantined Nanodomes, the city that has been encased in an Nanodome created by corrupt cell corporation to get his mission done and to take revenge and fight for the fallen as of ago he got tangled with this enemy but this time he is ready. The hunted ‘Prophet’ becomes the hunter now and is back to take revenge by uncovering the true motives behind the faces and bring them down from the wrong way round. The game will be featuring advanced weapons and tactics to fight through the fallen, Prophet will be having a lethal composite bow and an enhanced Nanosuit and devastating alien tech to become the deadliest hunter on the planet. Dead Space is the forthcoming sequel to Dead Space 2 in Dead Space series and is a third person shooter and survival horror video game being developed for Microsoft Windows, PlayStation 3 and Xbox 360 by Visceral Games. 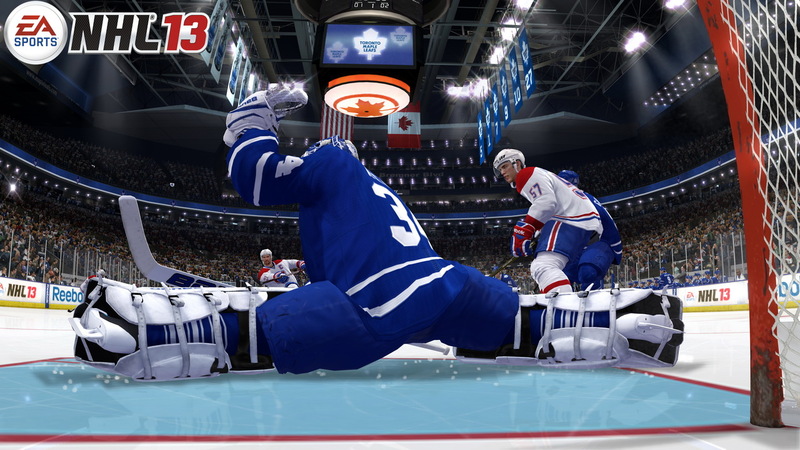 The game will be published by Electronic Arts and is set to be released in February 2013. Dead Space 3 features Visceral Engine. The gameplay is set on Tau Volantis, an iced up planet, include protagonists Isaac Clarke and merciless soldier Sgt. 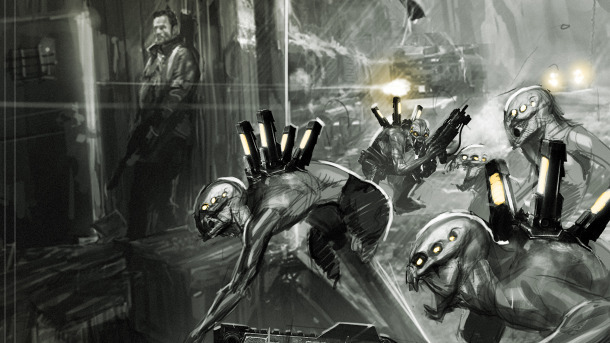 John Carver who together assign their selves to discover the source of the Necromorph outbreak and thus try to stop the Necromorph scourge for good and will be able to roll and take cover to avoid attacks. The story begins when at their planet side their craft becomes anxious and eventually crashes and Isaac and Ellie gets separated and the time comes to take control, and then another protagonist gets introduced Sgt. John Carver who plays an important role in the gameplay. 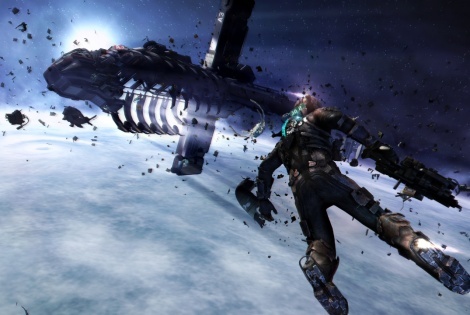 Dead Space 3 features a drop-in, drop-out gameplay experience where the secondary player takes control of John Craver. 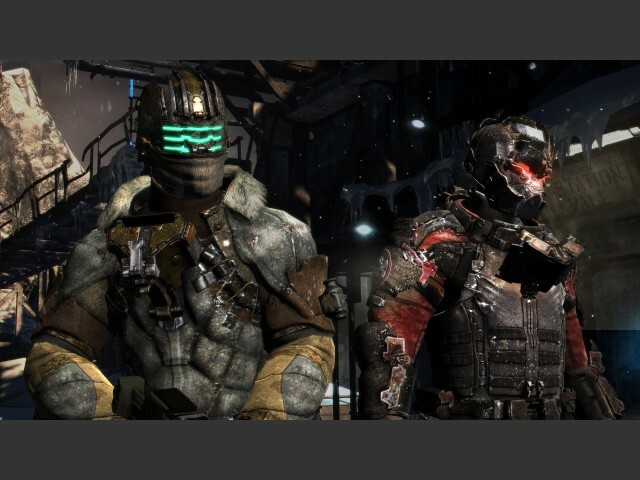 Dead space 3 will offer amazing features such as Issac will be having abilities beyond the weapons available to him; weapons in Dead Space 3 are lot much upgraded such as alternate-fire will be much differently than before and will have a similar knock-back effect to the Force Gun, the plasma cutter is an entirely new weapon now, the Pulse Rifle will be featuring the saw blades as a secondary firing mode. NCAA Football 13 is the successor to NCAA Football 12 in the NCAA Football series and is available on PlayStation 3 and Xbox 360 Platform. 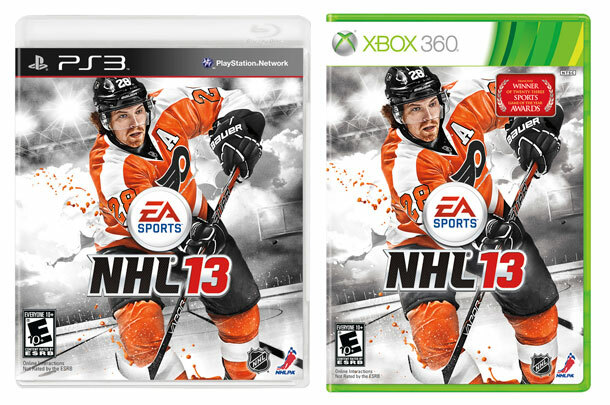 The game developed by EA Tiburon and published by EA Sports. 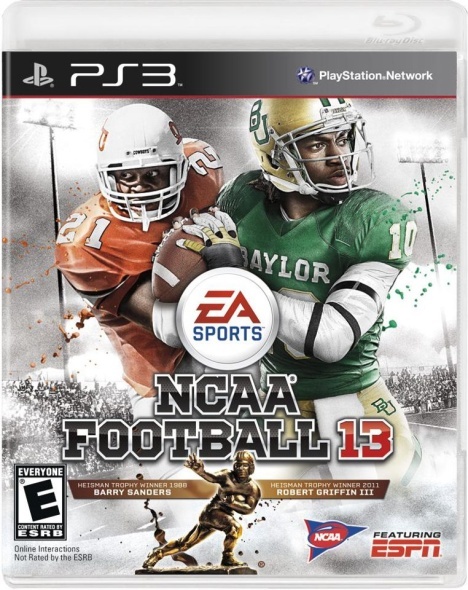 The Game features Heisman trophy winner Robert Griffin III and Barry Sanders on its cover for the game. Interesting part was that when fans were allowed to choose between eight of top footballers out of which Barry Sanders was chosen to be on the cover with Robert Griffin. NCAA Football 13 will feature some new advancements and enhancements in the game field. There are some new changes implemented in the gameplay that Player will not be able to make blind swats, to make a shot player will have to have a clear vision of ball, player is also supposed to be within 5 yards of the ball on kickoffs to prevent a running head start. Talking about free kicks, if a player gets a touchback with the ball, that ball will be placed on the 25 yard line instead of 20 yard line. The game delivers players awesome creativity on attack. There are entirely new pace in game field. Graphics are even better than before. All in all you will have an amazing football game experience. 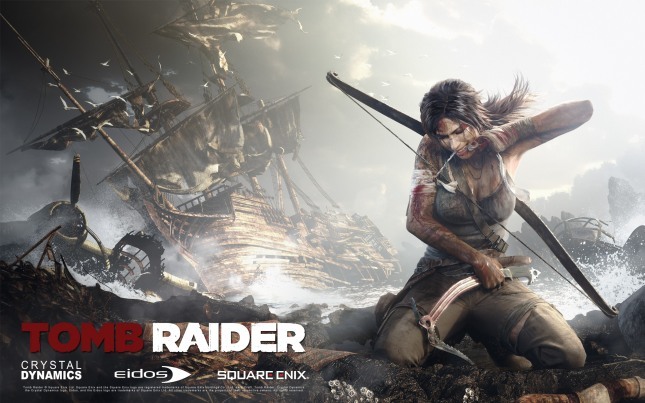 Tomb Raider is a forthcoming action-adventure survival video game, a fifth installment in Tomb Raider franchise developed by Crystal Dynamics and published by Square Enix. The game will run over Crystal Engine and will be featuring attractive new features. 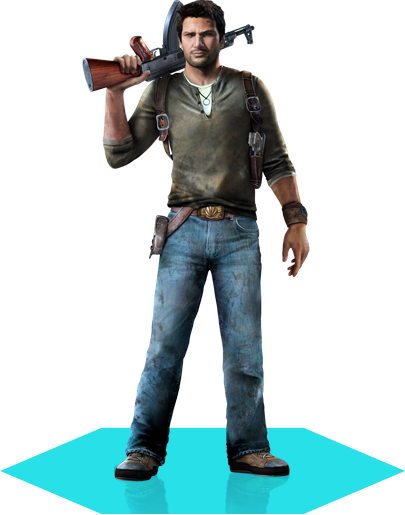 The game is being developed for Microsoft Windows, PlayStation 3 and Xbox 360 and is set to be released on March 5, 2013. The Game is set all new. The game will not be having any correlation to the previous installments in the Tomb Raider franchise and it would take “Lara Croft” as its lead character. The game will be truly an action-adventure video game with role-playing elements. The game will revolve around the severe and determined origin story of Lara Croft and her rise from a panicky young woman to an unsentimental survivor. The ship on which Lara Croft is having a journey is hit by violent storm and the ship gets split in two. Lara Croft and many other survivors from the violent storm finds themselves present at any isolatedTropicalIslandin the Dragon’s Triangle. All Lara has to do is to be alive thereafter; while moving around she finds some of the other travelers dead in a ritualistic pose, which simply makes sure that she has to fight off dangerous animal inhabitants and trying to trace the other survivors along with all this Lara has also to look for food and water and this ain’t all, later on further crap, a group of malevolent mercenaries would follow Lara and her other companions to kill them all. Now the “reboot” the series is best to wait for the first quarter of 2013, the title this time has been polished with great perfection and certainly once again it’d be one of the pioneers of the genre of shooter. PlayStation All-Stars Battle Royale is an upcoming crossover fighting video game being developed for PlayStation Vita and PlayStation 3. The game is being developed by SuperBot Entertainment in union with SCE Santa Monica Studio and published by Sony Computer Entertainment. 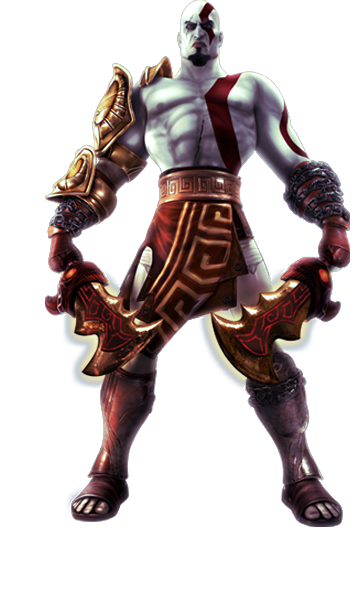 The releasing date has not been confirmed yet but the game is supposed to get released in the end of 2012. 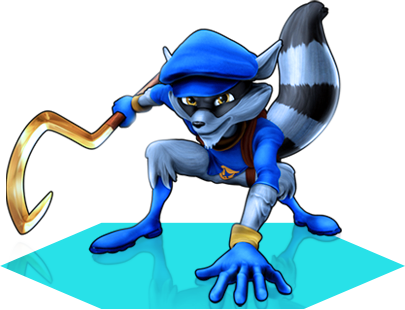 PlayStation All-Stars Battle Royale gameplay concept is quite similar to that of Super Smash Bros. series, in which there are different characters available to play with from different Sony franchises such as Sly Cooper, God of War and some others, the gameplay will still differ in sense of combat offered. 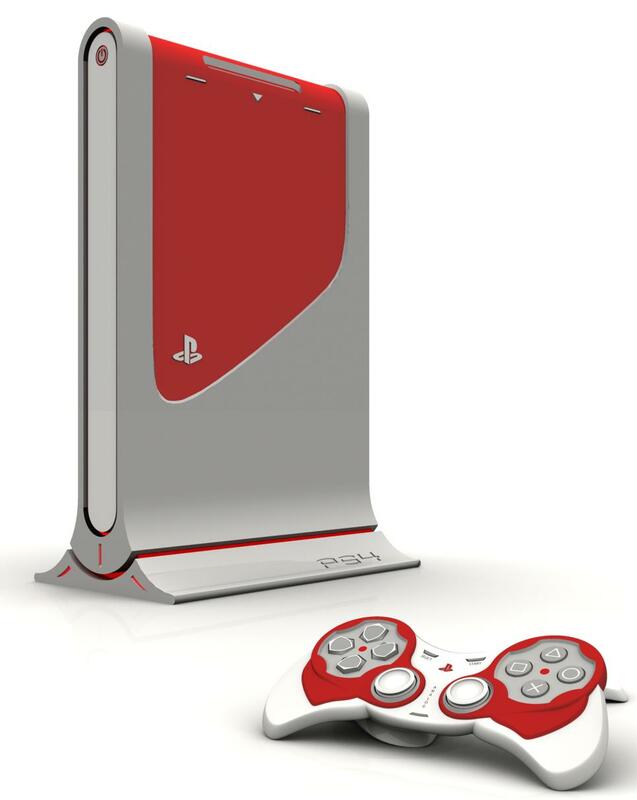 The game will offer cross-platform feature that will feature play between PlayStation Vita and PlayStation 3. 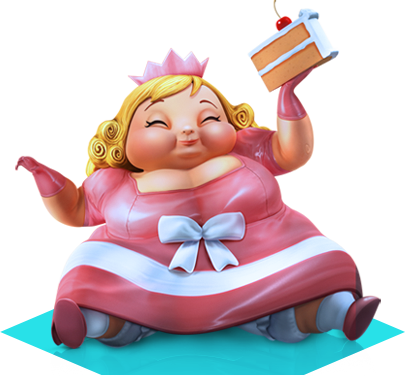 The gameplay offers Sony’s characters from all over the PlayStation universe, Have fun by choosing the one you admire or like the most to play with. The Game offers Cross Play game that offers a real time play allowing up to 4 players to face off against each other through PS Vita or PlayStation. Lost Planet 3 is an upcoming 2013 third-person shooter video game being developed for Microsoft Windows, PlayStation 3 and Xbox 360. The game is in development by Spark Unlimited and will be published by Capcom. 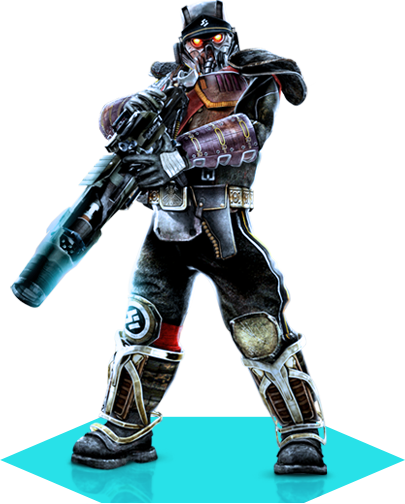 The game is the pioneer to Lost Planet: Extreme Condition and Lost Planet 2. 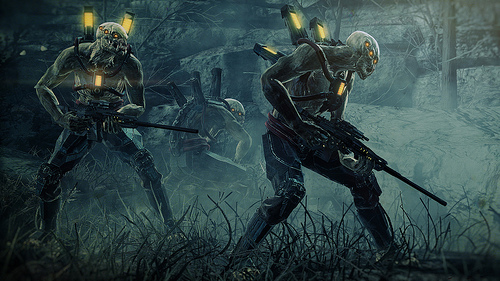 The gameplay take place on the same planet as seen in Lost Planet 2 and Lost Planet: Extreme Condition was, E.D.N. III albeit. As known the game takes a more story-driven narrative approach to the campaign similar to the first game. Lost Planet 3’s producer is Andrew Szymanski. However game series creator, Kenji Oguro is the game director, the game yet will be developed externally by Spark Unlimited unlike its previous games in the series which were developed internally by Capcom, this rules trend the fact that DMC: Devil May Cry a Capcom game developed externally rather than internally by Western developers. The game features E.D.N. III, an ice-age environment rather than the tropical environment we got to see in any previous game, the game actually will be quite similar to the very first game with a story-driven adventure. The game’s official trailer from its official website unveils its fortune success; a cleverest game, the game gives the impression of amazing fun, awesome visit to the ice-age environment planet will give the player a pioneer gaming experience I believe. The series takes its place to a new interesting gaming experience, the game leans towards a whole new action world. At E3 conference Capcom leaned to emphasize and make the people believe that the lost planet 3 is all about action, and will be marked as an amazing game in shooting and adventures history. Let’s see what we would have got in coming days, still some time to wait for a adventures island visit at ice age environment. Far Cry 3 is an upcoming open world first-person shooter video game being developed and published by Ubisoft. The game as a fact is being developed by Ubisoft Montreal in association with Ubisoft Massive, Ubisoft Reflections and Ubisoft Shanghai. 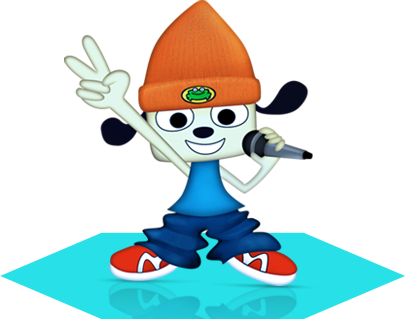 The game is being developed for Xbox 360, PlayStation 3 and Microsoft Windows. 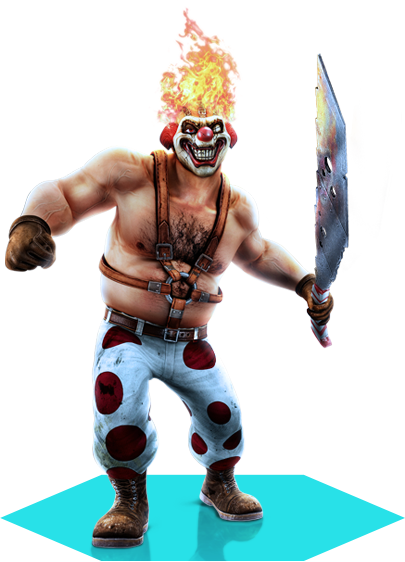 Far Cry 3 will be a sequel to Far Cry 2 developed in 2008; it is scheduled for a release on September 4, 2012 and September 6, 2012 in North America andEuroperespectively. The gameplay takes place on a trophical island, at the juncture of the Indian andPacificOceans. 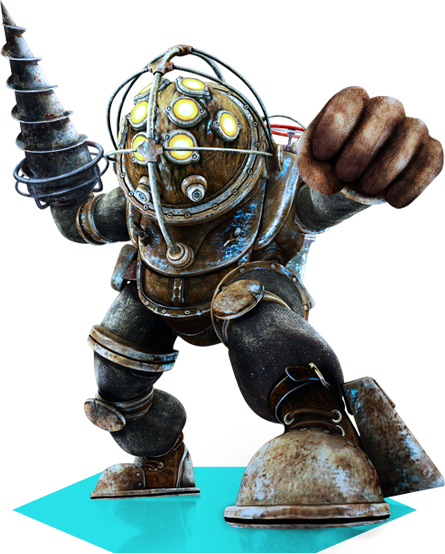 The main aim of the game is to escape from the islands and their demented residents. Ubisoft showcased the demo of Far Cry 3 in its E3 2011 conference on June 6, 2011. 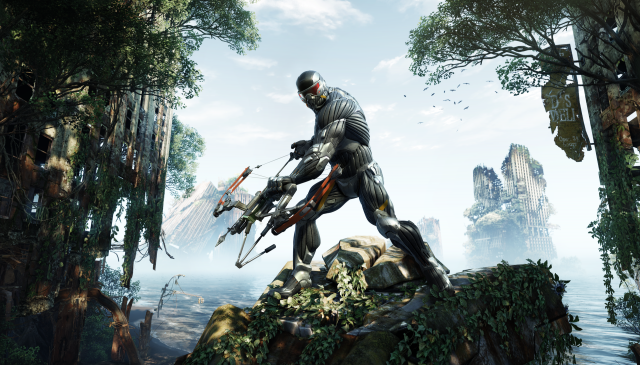 It revealed the gameplay in a very elegant manner, that the player will have the ability to shoot enemies behind objects in squat mode without moving his head up but with free hands. The game will feature Dunia Engine 2 as its engine and will also have sandbox editor like its previous games in Far Cry series. 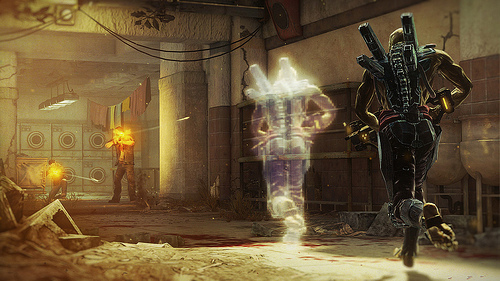 The player will be given the ability to survey and plan out his attacks with stealth takedown combinations. Multiplayer. Along with these two modes the game will feature a co-op campaign with its own story and characters, which can be played up to four players online or two players playing on split screen.